Hey, plans change when traveling. Exchange your experience for any reason! Any purchase of $500.00 or more includes complimentary one-hour concierge consultation valued at $99.00. Welcome to the PT-305 crew! 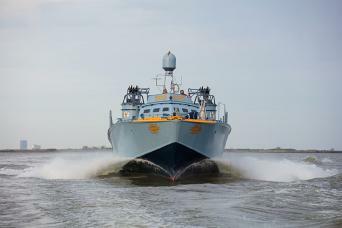 You will soon climb aboard the only fully restored, combat-veteran PT boat in existence—at home on the same Lake Pontchartrain waters where PT-305 first underwent testing before heading to war. Fast and maneuverable, Patrol Torpedo boats were a unique and essential tool for US naval forces during World War II. See the PT boat and learn about the service of the men who called them home with PT-305—the world's only fully restored combat-veteran PT boat in operation today! Experience history like never before aboard PT-305! PT-305 can accommodate up to 18 guests on specially designed “ammo cases” that provide seating for up to two guests each and are equipped with handles for safety. PT-305 is a wooden-hull vessel designed for military use. On occasion, water conditions may determine how smooth the cruise experience may be. Headphones will be provided to buffer noise from the engines and also provide information during your ride. Please note that children under 12 years of age are not allowed on the boat, and the boat is not ADA accessible. 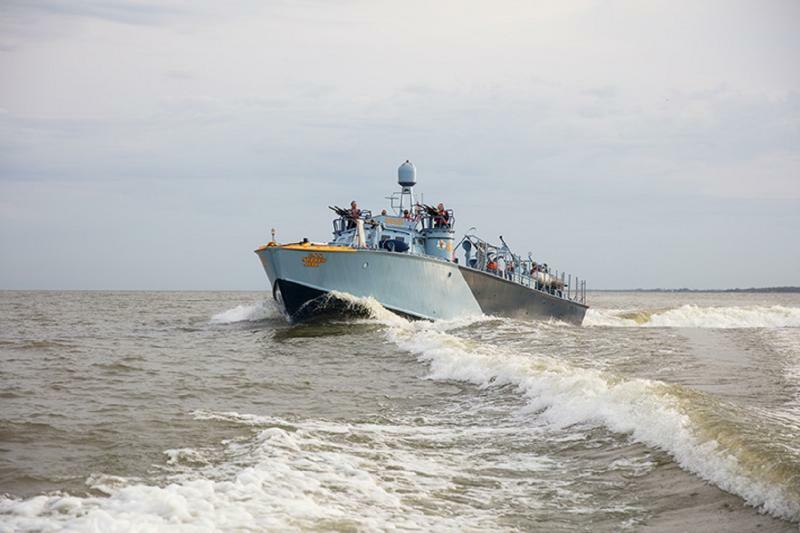 PT-305 is staffed with a crew of five maritime industry professionals, including a captain, engineer, and three deck-crew members who have all undergone thorough training on safe operation. The National WWII Museum suggests guests wear sturdy shoes with little or no heel and comfortable casual clothing. On occasion, the deck and gangway may be slippery and necessitate shoes with traction to avoid slipping. Sunscreen is recommended as PT-305 does not provide cover. Should there be light rain or mist, ponchos are provided. Umbrellas are not allowed on board. Share your thoughts about your experience! Make sure to include your Confirmation Number, and don't forget to choose a star rating!